The winner and the recipient of the prestigious "National Jazz Award-2006" as the best jazz "VIOLINIST OF THE YEAR" in Canada. 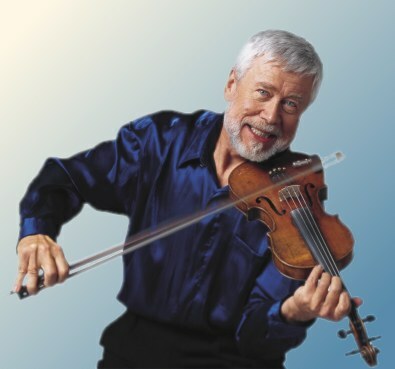 Violinist Ed Vokurka's music is a unique blend of European classicism and North American Swing. He possesses a lyricism rarely found in a jazz violinist. In his eclectic approach to jazz, Ed is uniquely providing a missing link between his original Classical training and the Jazz world, which he embraces so passionately! Ed performed with the legendary Joe Venuti in the 70's and has recently been featured at the prestigious Roy Thomson Hall in Toronto. He leads the Ed Vokurka Quintet "Violin Swing & Jazz Ensemble" steeped in the tradition of the Hot Club of 1930's Paris. Truly an engaging & exciting performer who puts his all into every note. "Exuberant!" Geoff Chapman, The Toronto Star. used to promote the 2002 Seniors' Jubilee.